redirecting to Switch testing in 4s. 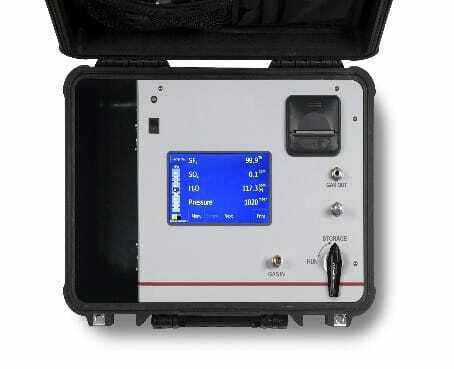 The Transdox 6100 is the latest portable gas analyzer designed for monitoring the quality of SF6 in gas insulated sub-stations and circuit breakers. 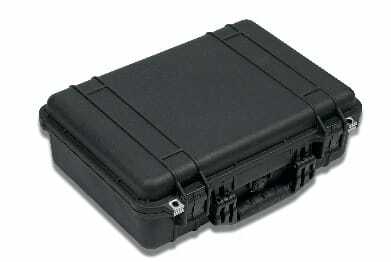 The analyzer is housed in a rugged IP66 Peli-case with eight-hour lithium battery & weighing 8.5kg, making this a truly portable field instrument. 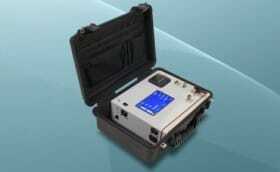 The analyzer simultaneously measures SF6, SO2 and H2O. Using an infra-red SF6 detector, the analyzer offers exceptional accuracy and stability when measuring the purity of SF6. The decomposition products of SF6 can be identified by analyzing the ppm SO2 content of the gas; this forms from the breakdown of SOF2 and SOF4 after an electrical discharge. The dew-point of the gas (in ppmV or °C) is an important parameter to measure as this has an effect on the dielectric properties of SF6. The Transdox is fitted with a special high-speed dew-point sensor fitted with a system allowing stable measurements in less than three minutes. The GIS compartment gas pressure is also recorded and logged by the analyzer. Maximum input pressure is 10 bar. All three gases are analyzed and data-logged simultaneously and just a few minutes are required to get a stable analysis. Incorporating a 7” full colour touch screen interface with soft menu keys and a thermal printer for permanent record keeping the Transdox is easy to operate both in permanent or sampling modes. ISO and CIGRE test configurations are pre-programmed for fast operation and all data is permanently logged for review at a later date. The user can also program custom test configurations. 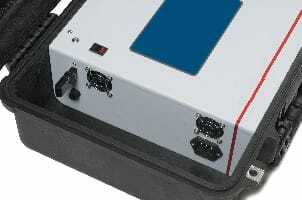 The test location / user name can be entered and displayed using an alphanumeric key-pad. Data can be downloaded via a USB memory stick and is MS Excel formatted. The analyzer has a gas output nozzle allowing all sampled gas to be recovered and recycled, ensuring that no SF6 gas is released into the atmosphere (in accordance with the Kyoto agreement). 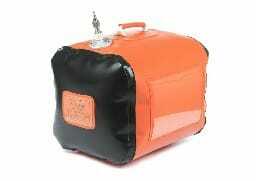 A Low-cost SF6 gas recovery bags are available to ensure no gas escapes into the atmosphere when using the Transdox. A 2m armored sampling hose with sealed fittings is supplied and is fully compatible with DILO couplings.